Last year, producer Scott Rudin and Jesse Eisenberg enjoyed some acclaim with The Social Network, a movie recently deemed “as good as Twilight” by a jury of its peers. Now it appears they may try to replicate The Social Network’s zeitgeist-y success by, well, nearly replicating The Social Network: Rudin has optioned the New York Magazine article “The Terrorist Search Engine,” concerning the young web entrepreneur Evan Kohlmann who provided expert witness testimony in 23 separate federal trials and military tribunals, based on his many days and long nights spent trawling jihadist websites collecting data on potential terrorists. Barely in his 20s at the time (he’s now 31), Kohlmann’s efforts earned a lot of negative attention for the way he turned testifying—and according to some, fear-mongering—into his career, as well as the nickname, “the Doogie Howser of terrorism,” due to both his young age and his charming, poignant diary entries, we presume. And now Rudin is looking to turn Kohlmann's story into a movie potentially starring Jesse Eisenberg as another controversial Internet wunderkind. 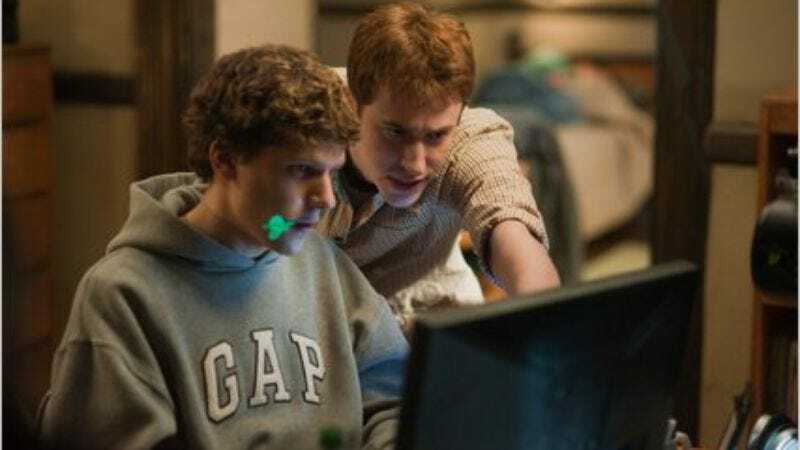 The film is still in its early development stages, but don’t be surprised if soon enough Eisenberg returns to the “intensely stoic typing” scenes that are quickly becoming his idiom.